This pack of 20, 3-ply paper napkins are perfect for brunch, lunch or dinner parties. From Wrendale Designs, the hare pattern features a four designs of quirky hares. The napkins are environmentally friendly and printed using water-based colours, bleached without chlorine. This pack of 20, 3-ply paper napkins are perfect for brunch, lunch or dinner parties. From Wrendale Designs, the fox pattern features four different designs of foxes. The napkins are environmentally friendly and printed using water-based colours, bleached without chlorine. This pack of 20, 3-ply paper napkins are perfect for brunch, lunch or dinner parties. 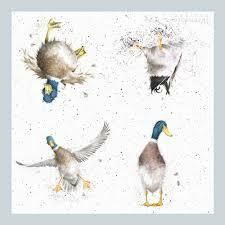 From Wrendale Designs, the duck pattern features a mallard duck in various poses. The napkins are environmentally friendly and printed using water-based colours, bleached without chlorine. This pack of 20, 3-ply paper napkins are perfect for brunch, lunch or dinner parties. 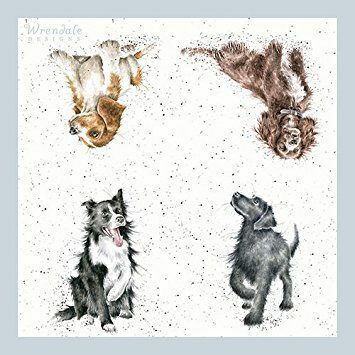 From Wrendale Designs, the dog pattern features four faithful hounds. The napkins are environmentally friendly and printed using water-based colours, bleached without chlorine. This pack of 20, 3-ply paper napkins are perfect for brunch, lunch or dinner parties. 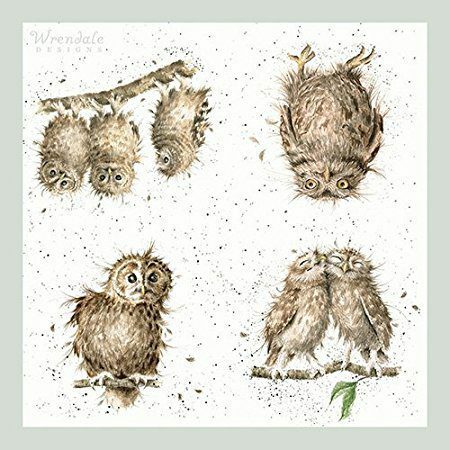 From Wrendale Designs, the owl pattern features the 'what a hoot' designs of quirky cute owls. The napkins are environmentally friendly and printed using water-based colours, bleached without chlorine. This pack of 20, 3-ply paper napkins are perfect for brunch, lunch or dinner parties. From Wrendale Designs, the stag pattern features two designs of a majestic stag. The napkins are environmentally friendly and printed using water-based colours, bleached without chlorine.